Powerful, dramatic, slightly spooky. Bach's full-organ fanfare at the start of his famous Toccata and Fugue is an absolute classic. In Baroque music, toccatas took the form of passages of virtuosic music followed by a fugue, and, boy, is this one effective. If music is a journey, this one is enough to take you across Russia and beyond. The opening of Rachmaninov's Piano Concerto No. 2 is one of the most distinctive moments in classical music: a solo piano with chords and a repeated bass note, slowly growing from pianissimo to fortissimo until everything is enveloped by the orchestra. It really doesn't get more iconic than this. The C minor *short-short-short-long* motif has to be one of the most recognisable moments in all music. Beethoven perfectly sets the scene of brooding drama, stress and struggle. It's often referred to as 'Fate knocking at the door' as the great composer was first becoming aware of the devastating impact of the gradual loss of his hearing. Wagner's legendary Ring cycle contains four operas and 15 hours of the most exquisite music and drama, taking in fire, battles between good and evil, dwarves, giants and magical jewellery. 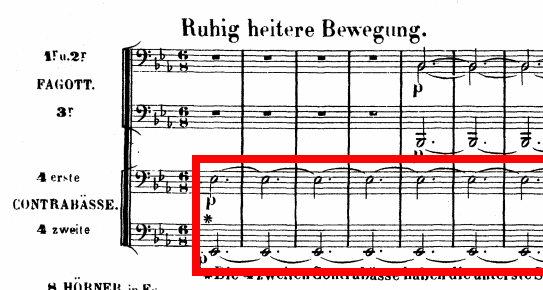 At the beginning of this epic musical journey, there's a long, sonorous E flat – 136 bars' worth, in fact. The composer used this low, sustained drone in the double basses to evoke the depths and movement of the river Rhine. Mahler's Symphony No. 1 (aptly named the 'Titan') has an exceptional beginning – a seven-octave drone on a held A, with the first violins holding an *exceptionally* high A harmonic. It gradually bubbles up and the movement goes on to evoke the great outdoors that inspired the work, with legions of brass performing both on and off stage. How very Mahler. For hundreds of years through the Baroque and Classical periods, the conventional start to a concerto was with a big orchestral Tutti (basically everyone playing together). Then along came Felix Mendelssohn. One of the things that made his Violin Concerto unique was that it opened directly with the soloist, playing an exquisite melody over gentle, pulsing chords in the orchestra.